Well, here it is, it’s that time of year again. It’s show time! It is just a matter of days now till the industry descends on the NEC, Birmingham, to see for itself what Euro Bus Expo holds. As ever, the show is a great opportunity to see the latest vehicles and technology all in one place. By the way, if you want to know what is to be expected at the exhibition, check out our comprehensive stand by stand guide in this week’s issue (1300, 31 October). There is a lot to be excited about at the show, new vehicles and innovative tools and systems. 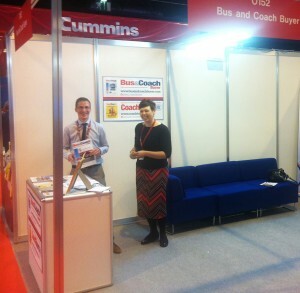 However, it’s not just about products, Euro Bus Expo is just as much about people. Speaking to a lot of exhibitors, I found the big draw for many of them was the chance to simply meet and talk to folk in the industry. For some, it is one of the only times of the year they get to physically see the people they have done business with. It’s always great to catch up with friends and meet new ones – and that’s one of the reasons B&CB will be there. As ever, our entire team will be attending Euro Bus Expo. Come say hello to our sales team, who will be holding the fort at stand C95. Our editorial staff will be out in force too, on a mission to bring you the latest news from the show. If you see us, grab us and have a chat.